Back end with the 160 tyre, the tyre needs changing but that can wait. The back end is 100 times more sure footed now and feels confident. from tyre to chain.....well, about 10mm if i'm honest. 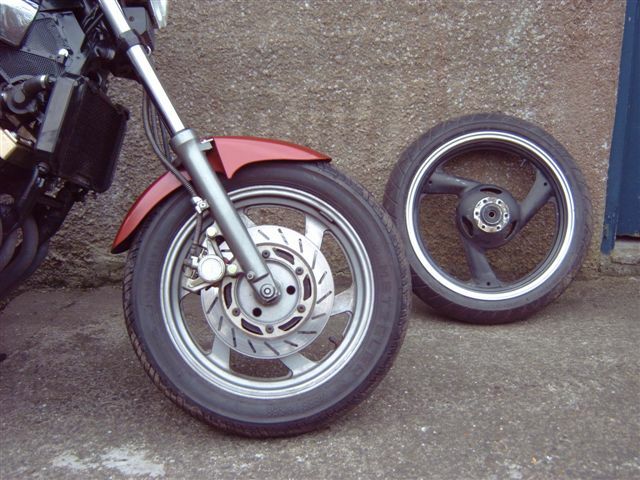 Its a 5 inch rim with a 160 X 17 tyre on it . wheels are usually a lot cheaper to buy in. which is about 20mm shorter. you pick up the spindle with the wheel when you buy one. 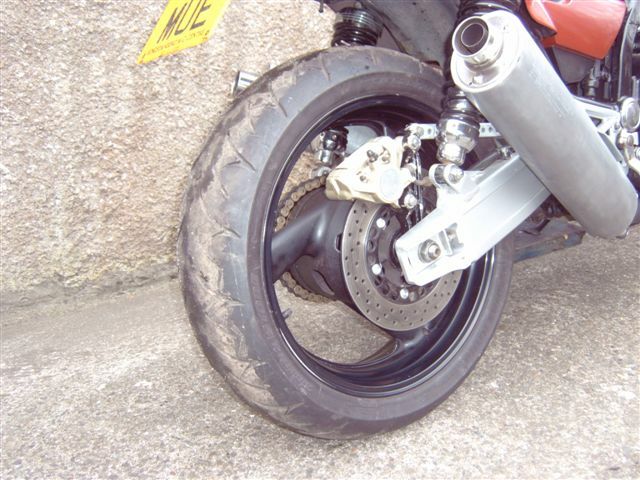 Front wheel is an FZR 600 R wheel, its a 110/ 70 / 17.
so no problems with spacers and stuff to pack it out in the forks. 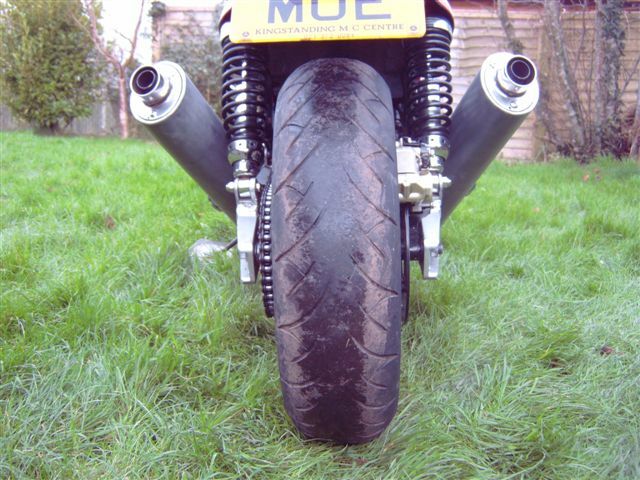 Its supposed to have 300mm discs on it, the FZX is a 265mm disc.....!!!! The FZR 750 forks I have take a 265mm disc. alter the calipers to come out off the forks. no good at all if i want to re -use the gold link chain i have. 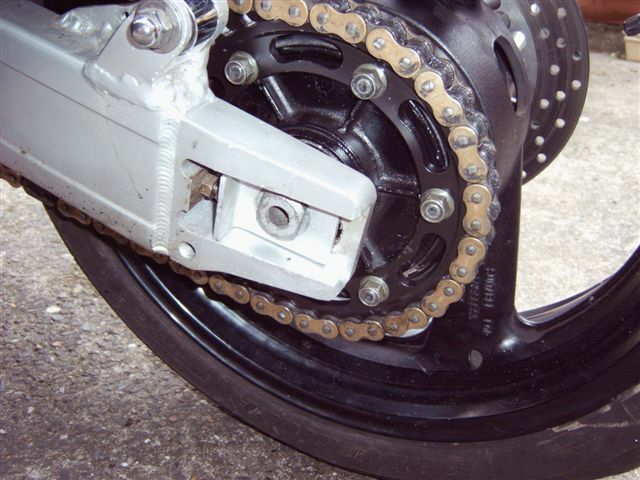 to buy a YZF 750 SP sprocket ( number 85939 ). and he bought me a caliper bracket off ebay and we've just swapped parts.